Inspired by the marvellous Teacher Tom and spurred on by a morning with nothing to do and the glorious 24 degree sunshine beckoning us outside….we made these little beauties! 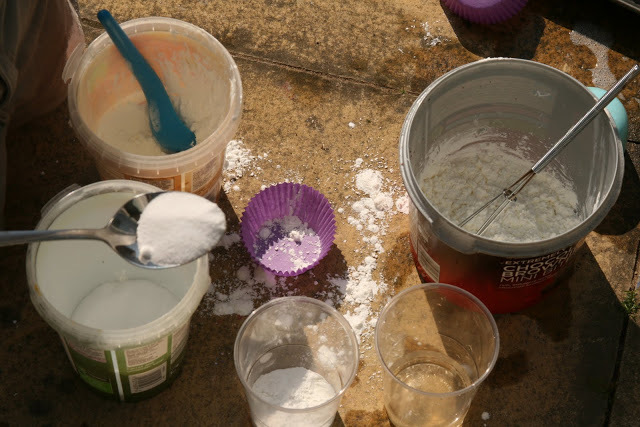 Tubs filled with cornflour, salt, water, white vinegar and cream of tartar. 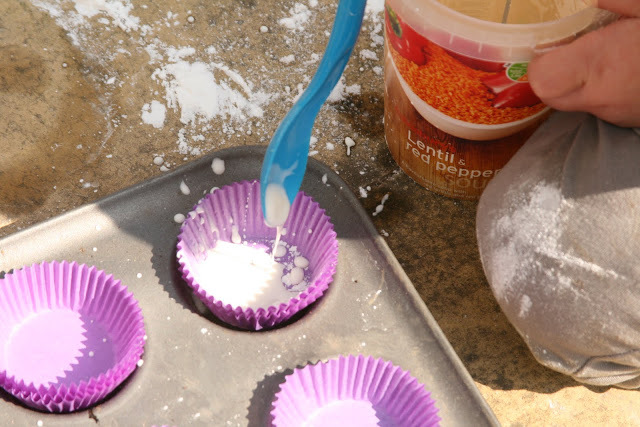 Spoons for pouring and stirring, whisks, cupcake cases and a tin for making some cakes. 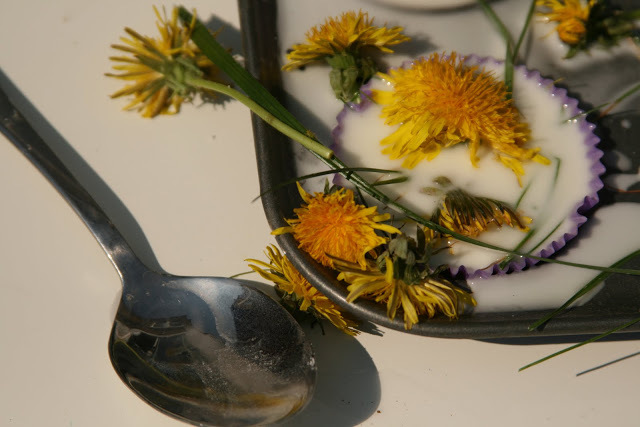 Toddler fistfuls of grass and dandelion flowers. Independent concocting, investigative play! Mix it all together and what do you get? Oobleck!! (well, a variant form of it anyway!) She soon realised there was something wonderful and strange about the consistency of her cake mix and needed to dig her fingers in to be able to stir it up. Liquid/ solid/ liquid/ solid again! Lots more water later and the goop became a wonderfully thick, runny syrup. Perfect for pouring. 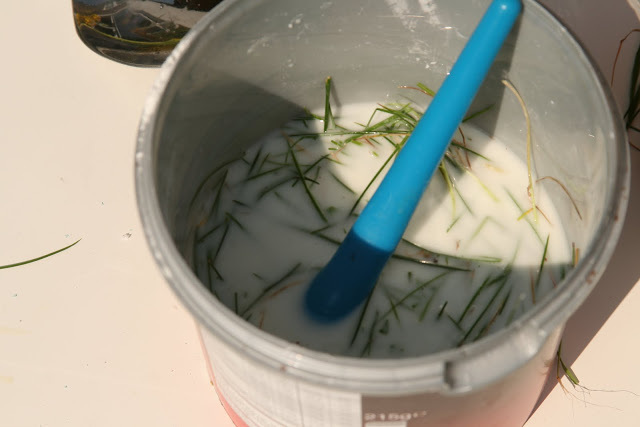 And stirring through with grass to make a tasty nature soup. Ta Da! 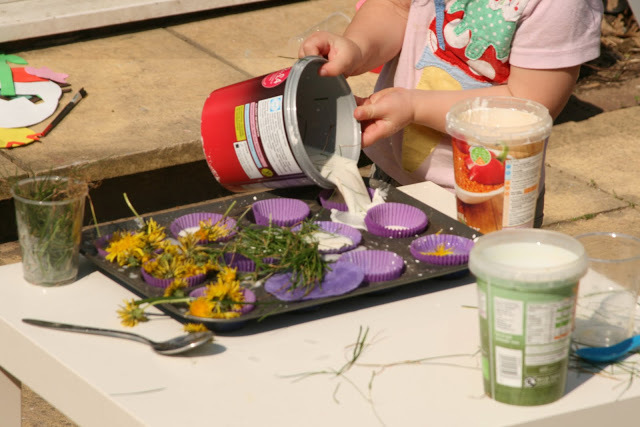 A tray full of grass and dandelion cakes, ready for baking! If only that was royal icing and those were sugar flowers! 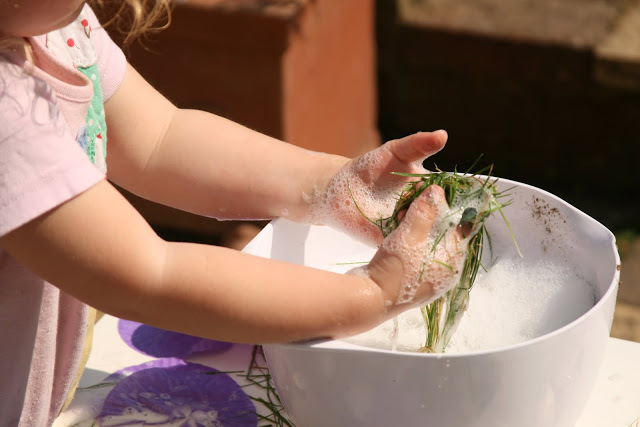 She requested a bowl of bubbly water and washed every last item herself, down to the paper cupcake cases and…..
……. even the grass 🙂 Then she dutifully took it back to the lawn and “returned” it, all fresh and bubbly clean. Nothing my girl loves more than a bowl full of water and plenty of things to pour it into. Happy day! Yum Yum Yum!! 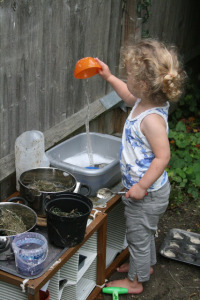 What child wouldn’t love to be given free reign to invent and concoct outdoors?! I know that mine would love this. Seeing her clean the paper cups and grass made me smile. 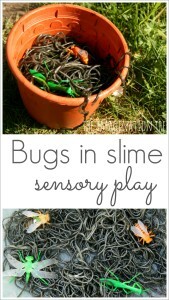 And wouldn’t this make for great earth day activity? love the goop cupcakes how fun!!! starring this for a fun summer bucket list activity!! Cassie would Love this! She asked to play with her bins of flower and rice this morning! Love it! We made something simpler, but just as fun, last summer: mudcakes (http://goexplorenature.blogspot.com/2010/07/fun-friday-make-mudcakes.html). The best part was getting dirty! Oooh we played with Dandelions this week! They can be such fun, no? A weed and yet so pretty!! 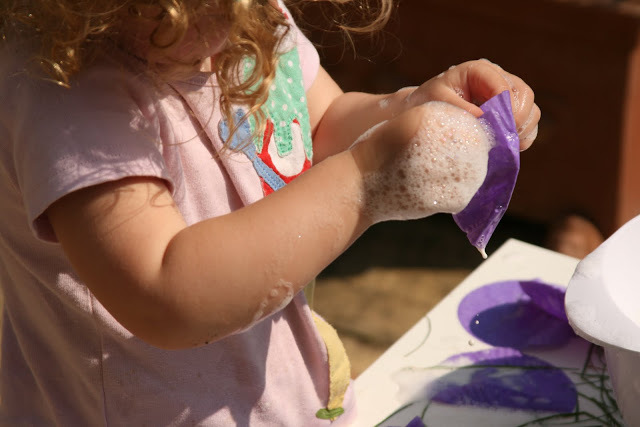 Thank you for linking up to Kids Get Crafty!!! Hurrah for goop – we love it! 🙂 Such a great idea to add cupcake cases, & the dandelions are just fab! Look YUMMY! 🙂 So much fun! We’re just waiting for some more nice days and this is on our list too! 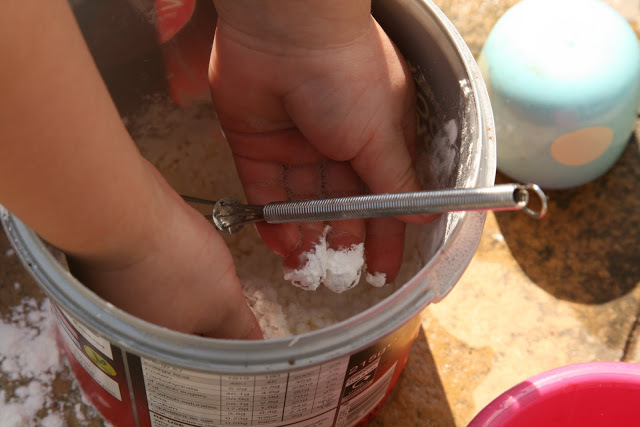 What a great idea – this mini science is awesome for young kids. I featured you on my newest posting, Found It Friday! 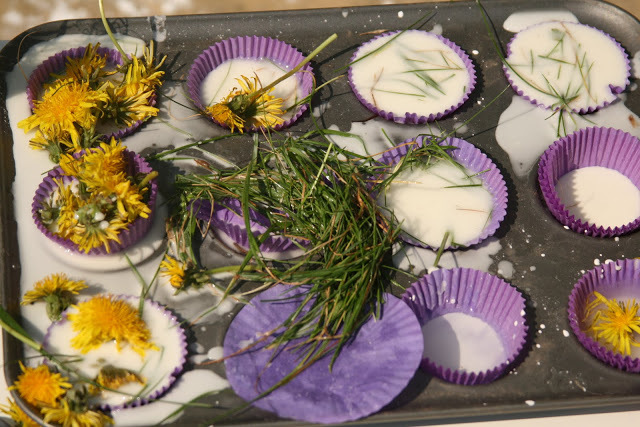 We posted “Dandelion Cupcakes” inspired by this post! Hello and welcome! I'm Anna, Mama of 4, early years teacher and play enthusiast from the UK! Click here to read more about me.